What does the transmission Position Sensor do? In automatic vehicles, it is often unsafe for the car to start in any mode other than park or neutral. This is because the car might move unexpectedly and cause an accident. The transmission position sensor (or transmission position switch) ensures that your car starts with the transmission set to park or neutral. It does this by cutting the power to the starter motor if the car is in the incorrect gear. 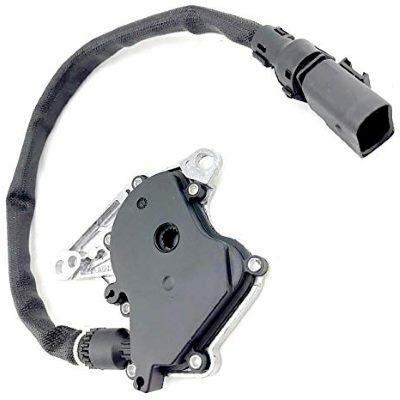 The transmission position sensor should not be confused with the transmission speed sensor, which measures the rotational speed of the transmission. The transmission position sensor is usually screwed onto the side of your car’s transmission. As you move the automatic gear selector from park/neutral to drive or reverse, it detects the changes. It then enables and disables the connection to the starter motor circuit, affecting your car’s ability to start. Sometimes the sensor can malfunction or the switch can become stuck. This can lead to difficulty starting your vehicle as well as safety issues. For this reason, it is important to get the sensor replaced. How does the automatic transmission work? Car not starting – If the transmission position sensor fails, it can prevent your car from starting at all. This happens due to the starter motor connection being permanently stuck in the “disabled” mode. In some cases, the car will only start in neutral mode and not park (or vice versa). Car starts in other gears – A faulty transmission position sensor can result in there being no protection from your car starting in drive or reverse. This can be dangerous and lead to unexpected movement of the vehicle. Is your car in need of a new transmission position sensor? If so, we can help! At Grimmer Motors, our team of experienced mechanics can quickly diagnose and fix problems related to the transmission position switch. This will result in your car starting without an issue, or allow for safer starting of your car. For transmission position sensor / switch repairs and replacement services in Hamilton, contact Grimmer Motors today!